“I drove the 2013 Mitsubishi Outlander Sport a few years back and quickly concluded that it needed more power. The 2.0L four cylinder was having a tough time keeping up with traffic. Now, Mitsubishi has worked to fix the lack of power for 2015 and added a larger 2.4L four-cylinder engine putting out 168 hp. It still isn’t going to set the world on fire, but it’s now adequate and helps it keep up with traffic without much of a problem. Usually with a larger engine the fuel economy suffers, but it didn’t seem to be the case with the 2015 Outlander Sport. The sticker says 23 mpg city/26 mpg highway and a combined 24 mpg, and I had no problem averaging 26.2 mpg. I did some heavy hauling during the 330 miles and still managed over 30 mpg on the highway on some longer trips. Part of the credit goes to the CVT automatic transmission, which seemed improved compared to the car I drove a few years back. 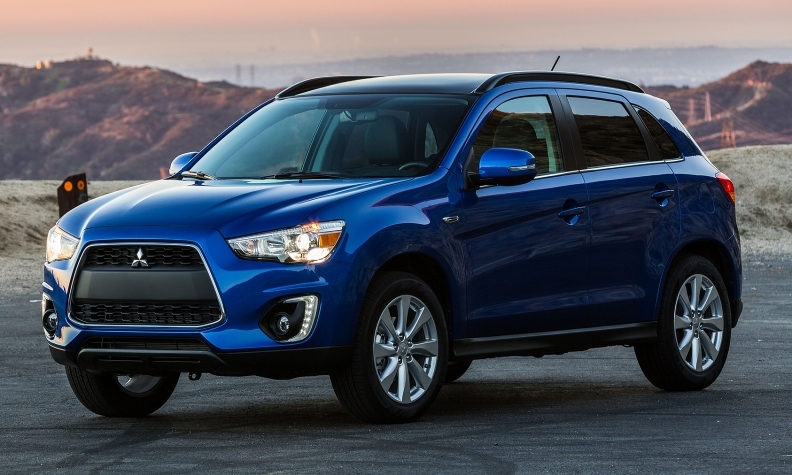 “When it comes down to it, the 2015 Mitsubishi Outlander Sport just doesn't feel very sporty. The 2.0-liter engine provides enough power for everyday errand running, but if you spend a lot of time in expressway traffic, you'll likely wish for quicker acceleration, especially in models with the CVT. Opting for the 2.4-liter engine helps, but with either engine, the CVT results in more engine noise than you'll experience in competitors.